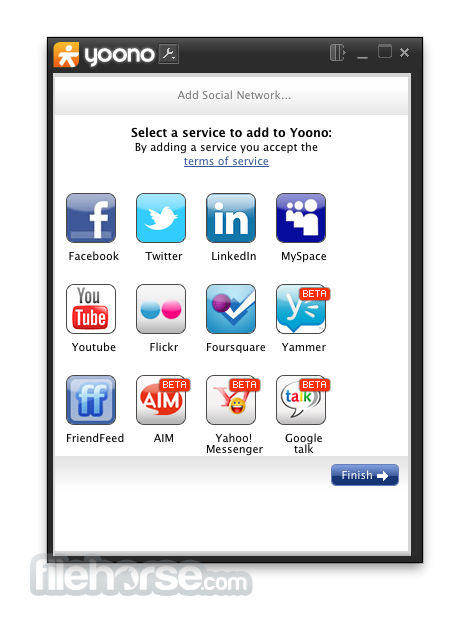 Yoono Desktop for Mac is a social app that helps you simplify your online social life by connecting you to Facebook, MySpace, Twitter, LinkedIn, Flickr, Friendfeed, AIM, Yahoo IM and more all in one place. View your real time stream of updates from friends as it happens. Yoono Desktop for Mac is also the easiest way to share stuff with all your social networks share links, images, and video from the page you're viewing across all your networks simultaneously. 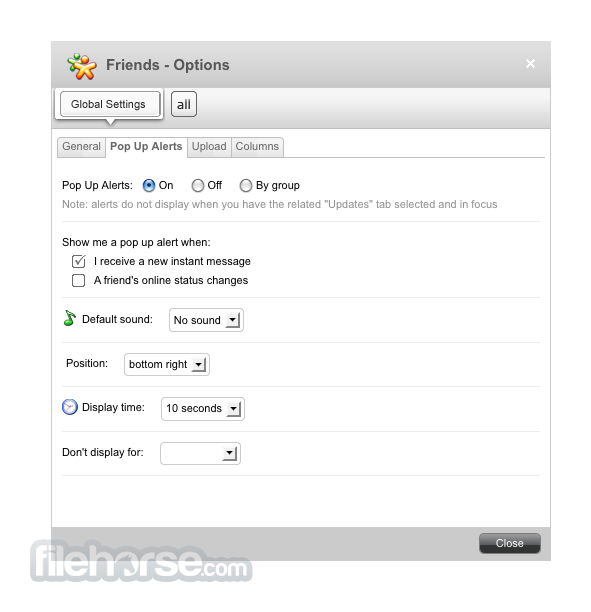 Connect to all your social networks and never miss another status update from friends or family. Update your status across all your social networks at the same time. All your IM services integrated in one app and no more logging on to multiple services. Never again will you miss an important status update or chat message because you did not visit some social network site or had 5 different chat programs active at the same time. Yoono Desktop for Mac enables you to monitor them all in real time, and even send your message to every single one of them at once! Countless chat networks - one application! Sharing of text, video and audio data has never been easier than with Yoono Desktop for Mac. To make your communication easier and faster, you can even drag and drop files into chat windows, which will send them to your chat buddies on every chat network that you have accessed. Simple and powerful!